The African elephant population has declined by more than 100,000 in the past ten years, largely due to illegal wildlife trade. A joint project between the Global Environment Facility, UN Environment, and the Conservation Council of Nations has seen success in strengthening Malawi's anti-poaching laws. In the past decade, the African elephant population has declined by an estimated 111,000, according to a 2016 report, primarily due to poaching. 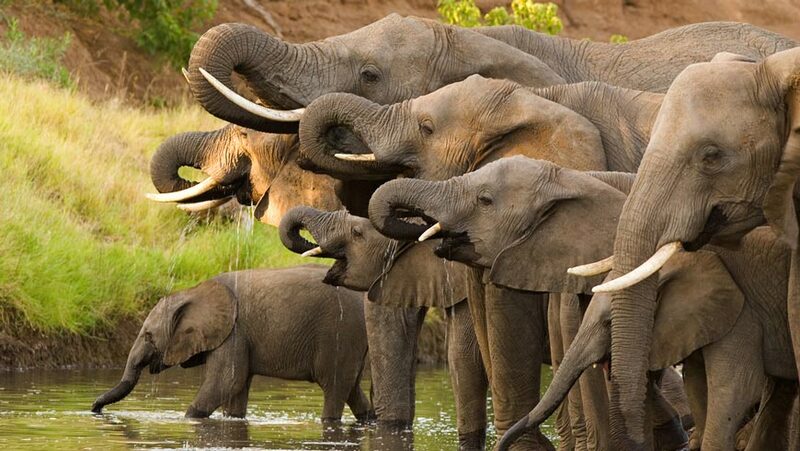 Malawi, identified by the Conference of the Parties to the Convention on International Trade in Endangered Species (CITES) as a “country of primary concern”, has lost 50 per cent of its elephant population since the 1980s. In recent years, however, political decision-makers in Malawi have been empowered to act thanks to a project funded by the Global Environment Facility (GEF), implemented by UN Environment, and executed by the Conservation Council of Nations (CCN). The project – Engaging Policymakers and the Judiciary to Address Poaching and the Illegal Wildlife Trade in Africa – has supported the country to strengthen its laws to protect two iconic mammals. In December 2016, to combat poaching trends, Malawi’s National Assembly passed amendments to its Wildlife and National Parks Act that stiffened criminal penalties for poachers and traffickers of “listed species”, namely rhinos and elephants. Under these amendments, convicted offenders face extended prison sentences of up to 30 years. Less than a year later, in October 2017, a court sentenced convicted rhino poachers to 18 years in prison, the most severe penalty ever handed down for poaching in the country’s history. A month later, a separate court convicted two elephant poachers and sentenced them each to 13 years’ imprisonment. With these decisions, Malawi’s new law has proven to have teeth. The long-term result, if tougher penalties can effectively deter the killing of Africa’s iconic wildlife species, will be seeing a “country of primary concern” transform into one with a thriving wildlife population and, consequently, a thriving wildlife tourism industry that can support human development. Other countries in the region – Mozambique, Namibia, and Zambia – have taken similar steps in the past two years to deter the killing and harvesting of Africa’s most emblematic creatures. Legislators in each of these countries have set up parliamentary conservation caucuses – informal, multi-party groups of legislators – to push for reforms. United around a mutual interest in environmental conservation, these caucuses have provided the architecture that policymakers need to combat the illegal wildlife trade. In the past five years, such conservation caucuses have been formed in 10 countries across sub-Saharan Africa: Botswana, Gabon, Kenya, Malawi, Mozambique, Namibia, Tanzania, Uganda, Zambia and Zimbabwe. Six of these parliamentary conservation caucuses have been formed in the past three years as part of the GEF project, which began in early 2015 and runs until the end of 2018. The project set out to increase the capacity and willingness of policymakers to assess and address poaching and illegal wildlife trade at the highest levels of government. To this end, the Conservation Council of Nations (CCN), an affiliate of The ICCF Group, has worked with parliamentary leaders in these 10 countries to establish and develop conservation caucuses. The formation of these caucuses – and CCN’s work with local stakeholders and leading conservation groups to educate Members of Parliament – has, in turn, empowered legislators to act on sound information and enact policy reforms. “The caucus model has helped to build a useful platform of interaction between policymakers – the parliament, the executive, the judiciary – and a wide range of stakeholders, including civil society organizations, private, academia, media, communities,” says Francisco Mucanheia, Chairman of the Committee on Agriculture, Economy and Environment in Mozambique’s Assembly of the Republic. Alex Major, co-chair of the Malawi Parliamentary Conservation Caucus, says the caucus model has helped Malawi “achieve what it would not have otherwise achieved in the next 10 years”. Parliamentarians and top-level government officials have embraced the model, enabling legislation to be passed that strengthens penalties for poachers. However, buy-in in the courts and among prosecutorial authorities is integral to the successful implementation of these new laws. CCN, as part of this project, has brought in legal experts from the United States and Europe to create a dialogue with prosecutors, judges, and law enforcement to address gaps in the enforcement of wildlife crime. The road to universally effective enforcement of these laws is long, but significant progress has been made. The United States-based ICCF Group aims to build capacity in developing nations to ensure good stewardship of natural resources.